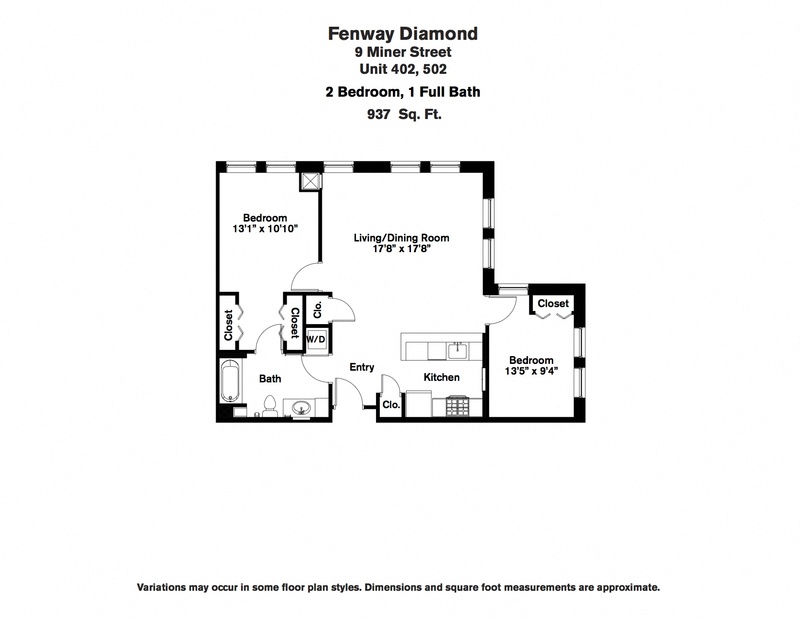 The Fenway Diamond apartments offer easy access to downtown Boston in a clean, modern, smoke-free apartment building. 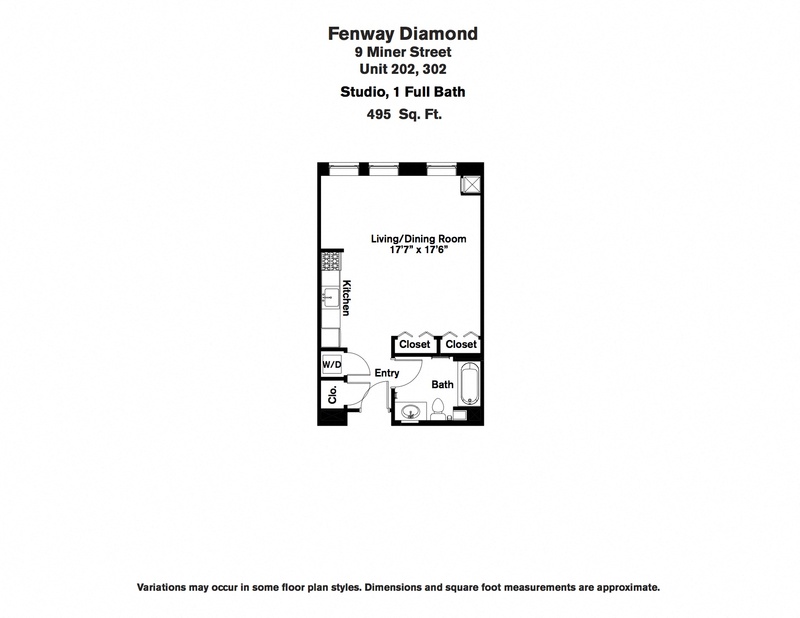 With select amenities and high-end finishes, Fenway Diamond's premier studio, one-bedroom, and two-bedroom apartment rentals are the ideal location for an active, urban lifestyle. Residents looking for luxury apartment rentals in Fenway, MA, want the perfect combination of a great location and a premier apartment building with new construction and modern amenities. Located near Kenmore Square and close to the Longwood Medical Area's leading hospitals many of Boston's top colleges and universities and with convenient MBTA access, the Fenway Diamond residences have everything you need to feel at home in a world-class city. 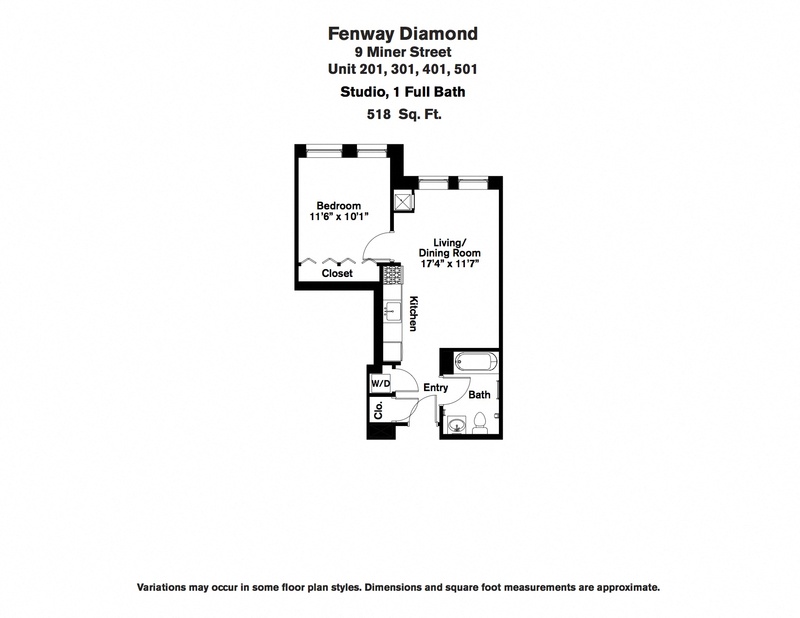 Steps to Fenway Park and Landsdowne Street, the Fenway Diamond residence offers walkable access to Boston's top nightlife and entertainment opportunities. The neighborhood also has many stores, restaurants, and cafes where residents can mingle, connect, and enjoy being a part of a dynamic urban environment. The neighborhood is bicycle and pedestrian-friendly, and is served by the Green Line and many MBTA bus routes. Drivers can access convenient off-street parking, or join a car-sharing program and rent cars when they need them. 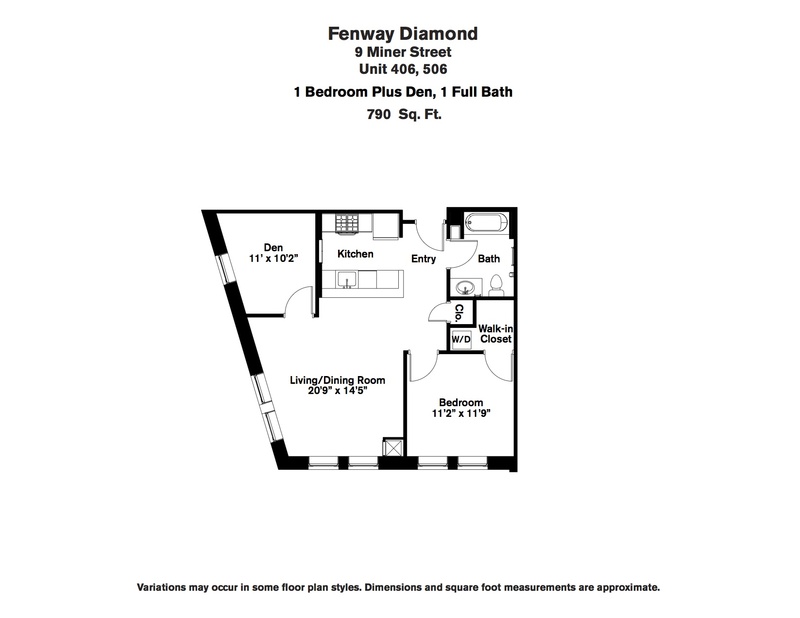 Fenway Diamond apartments for rent offer quiet places to escape from the busy city below and unwind in a private oasis that's perfectly appointed for modern living. Each rental unit features an open floor plan with hardwood floors and modern interiors throughout. The living room has recessed lighting and bedrooms come with a custom closet system designed to maximize storage space. The modern kitchen features everything that you need to cook a perfect meal, as it comes with stainless steel GE appliances, granite countertops, and European-style kitchen cabinets. Fenway Diamond offers upscale amenities designed to create a community for its residents. An onsite fitness center makes it easier than ever to get in shape, while free wifi in the lobby helps residents to stay connected while on the go. Online rent payment makes it simple to set up automated payments and ensure the unit rent is always paid on time. Secure garage parking is available and protects cars from wear and tear. 24-hour emergency response ensures that someone is always on hand to respond to issues that arise anytime day or night. 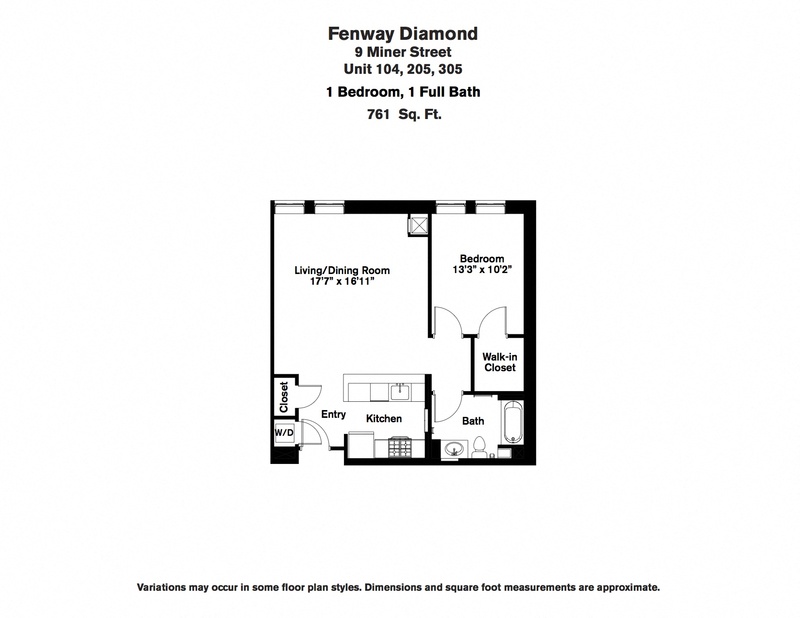 Fenway Diamond offers attractive new construction apartments designed for modern living. 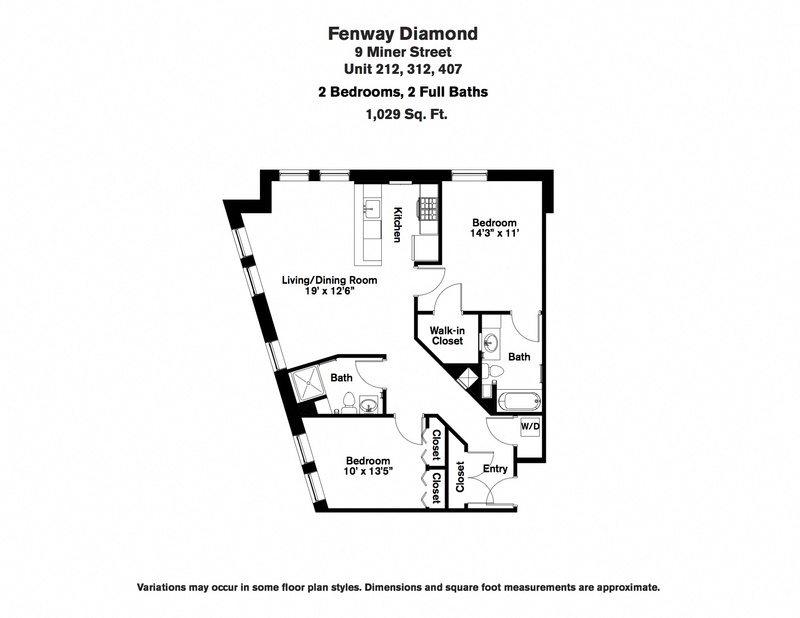 Contact us to learn more about this incredible opportunity for luxury apartments close to Fenway, MA. 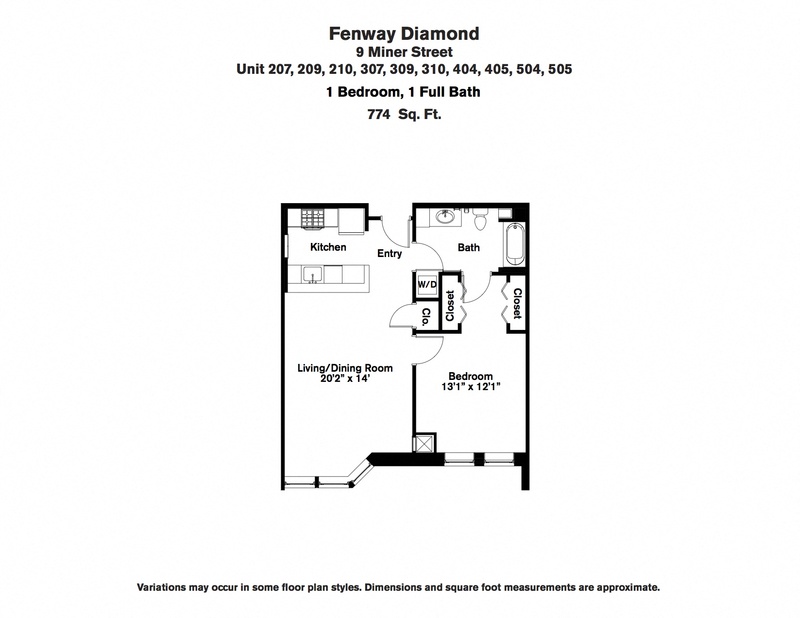 What's near Fenway Diamond Apartments? Boston is an historic city of contrasts. Ancient red-brick sidewalks twist past handsome Federalist houses on the way to soaring glass towers housing state-of-the-art technology. The sports scene in Boston is legendary, with popular and storied teams such as the Boston Red Sox, Boston Celtics and Boston Bruins. Bostonians love their city, it’s colorful history and vibrant cultural scene. In the harbors of Boston lie both the majestic U.S.S. Constitution, still commissioned to fight America's battles, and scores of sleek white fiberglass pleasure boats. There are tiny restaurants tucked into rosy brick town houses on Beacon Hill and huge restaurants on the dizzying tops of skyscrapers in the downtown. Food ranges from the most radical of nouvelle chic to downhome Cajun.